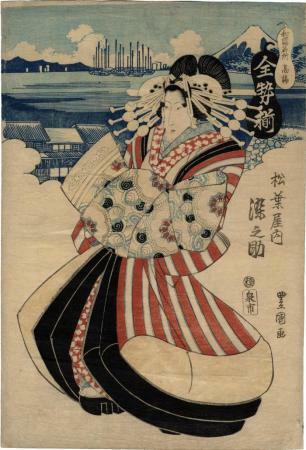 Each print in this series compares an oiran dressed in her finest robes with famous views of Japan. Yamato is the ancient name. All of the landscapes are printed as aizuri-e and are separated from the elegant women by a cloud-bank motif.